Hassle to turn on/off the led light by unplugging the power? Here is a inline on off switch power adapter for you. Just push the switch to turn it on or off. There is no need to plugging in or pulling out the power adapters. 1) It is an idea way to link switching power adapters and LED strip lights together. 2) It also can connect power adapters with 24key or 44key wireless rgb controllers. 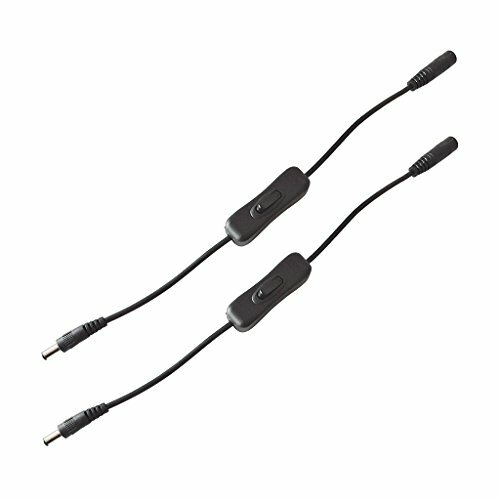 Please make sure the power adapters and led lights have DC male or female plug(2.1x5.5mm). •In terms of product details or questions, please first contact our customer service center by email. •Warranty: All products enjoy 12 months warranty. The products can be returned with no reason.